Media serves an important purpose. It reflects our values and makes us question when those values aren’t good enough. It can be subversive, or touching, or pointless, or anything in between. 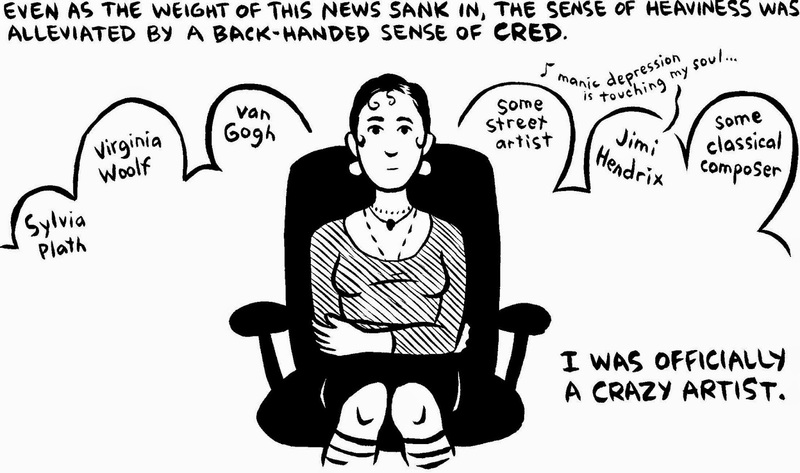 Media can change an entire culture or provide just a modicum of comfort to a single person. Watching the right movie, reading the right book at the right time can give you what you need to deal with every break up, come to terms with every death, get through every tough moment you will likely ever have. Media is more than just entertainment. 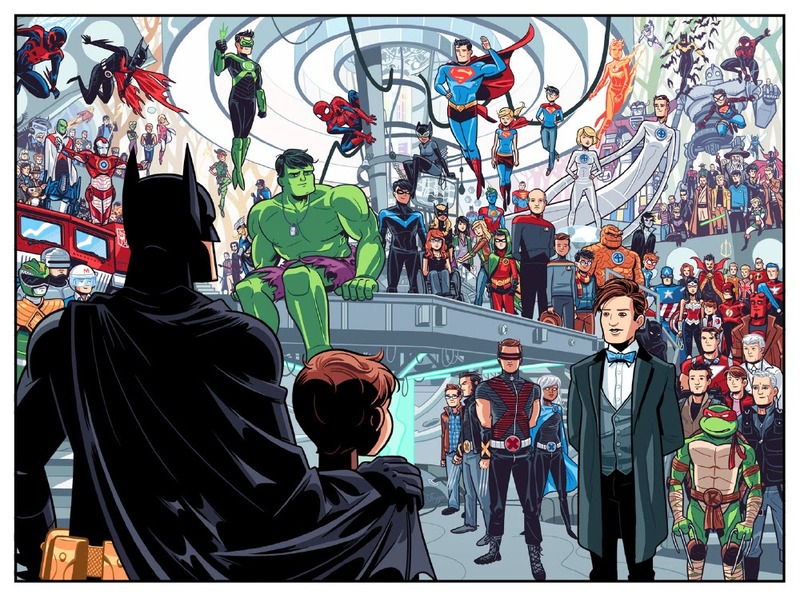 Comics are more than just a hobby. They are comfort, they are friends, they are validation printed on pulp paper for six cents a page. They are a way that we can find all the things we need, when we need it. All of the books on this list have given me something I needed, be it a new perspective, a point in the right direction, or – most importantly and common to everything here, a simple reminder that I am not alone. So, here are 8 graphic novels, in no particular order, that have helped me through hard times. Marbles, Ellen Forney – Mental illness is a challenging thing in the best of circumstance, to say the least. Marbles is Ellen Forney’s autobiographical examination of her own bipolar disorder, how it changed her life, and how she deals with it (partially through writing this book!). Her depictions of this struggle and the techniques she uses to get through her lows and navigate her highs handed me a guide book to dealing with my own problems, and helped me become a healthier being both for myself and for those around me. The only downside to it is that it’s never actually in my personal library, because I’m always handing it out to people when they’re going through their lows. 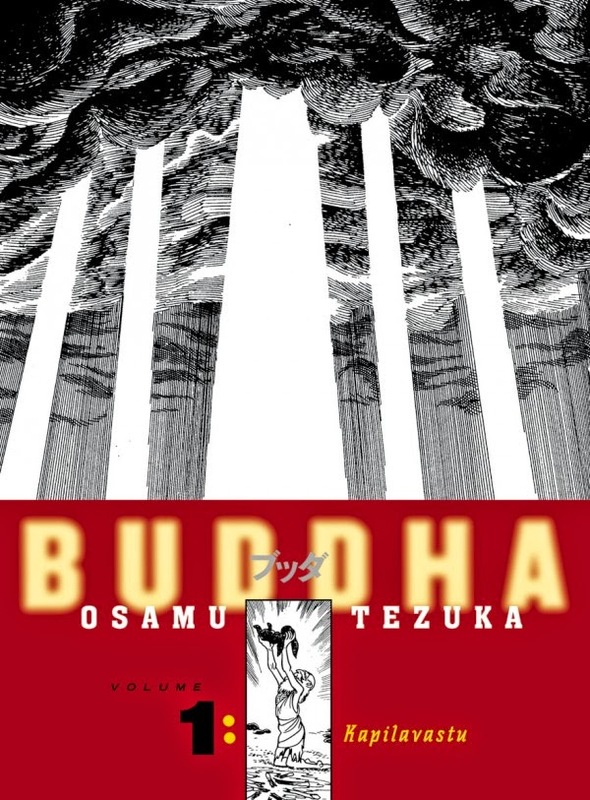 Buddha, Osamu Tezuka – There is always something to be found in personal spirituality. 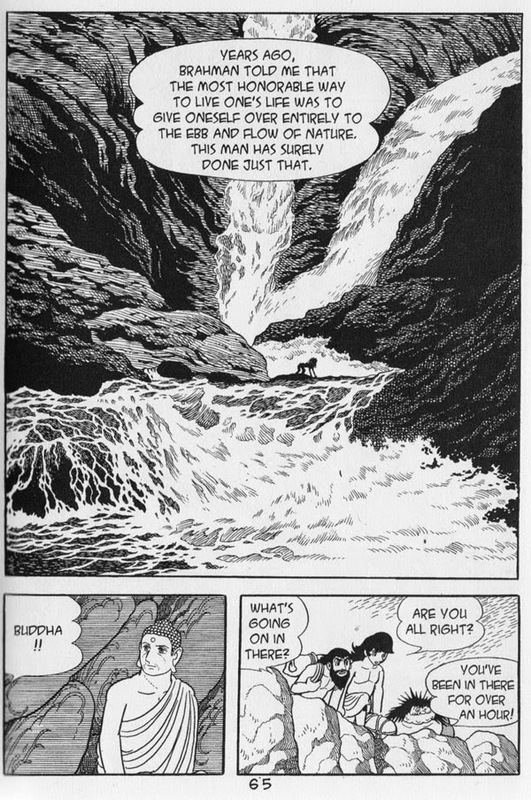 My first encounter with Tezuka was when I discovered his 8 volume biography of Siddhartha Guatama at the library in the 8th grade, just as I was knocking on the door to an entire world of teen angst. Although I became an angsty, angsty kid anyway, Tezuka pushed me to look into the Buddhist way of life, which helped me to deal with the stress and confusion of being a teenager as well as most definitely prevented some of the worse decisions I was about to make. Even though I have long since moved on with my spirituality and beliefs, I use many of the lessons I found in Buddha and subsequently because of it to this day, as I try to figure out life in general. 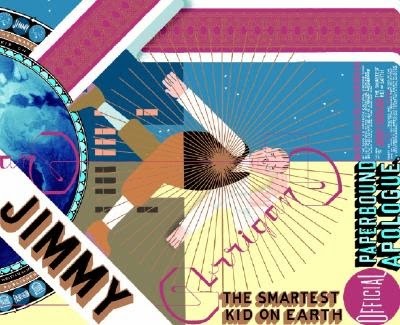 Jimmy Corrigan, the Smartest Kid on Earth, Chris Ware – This book is a much harder love than the others on this list. 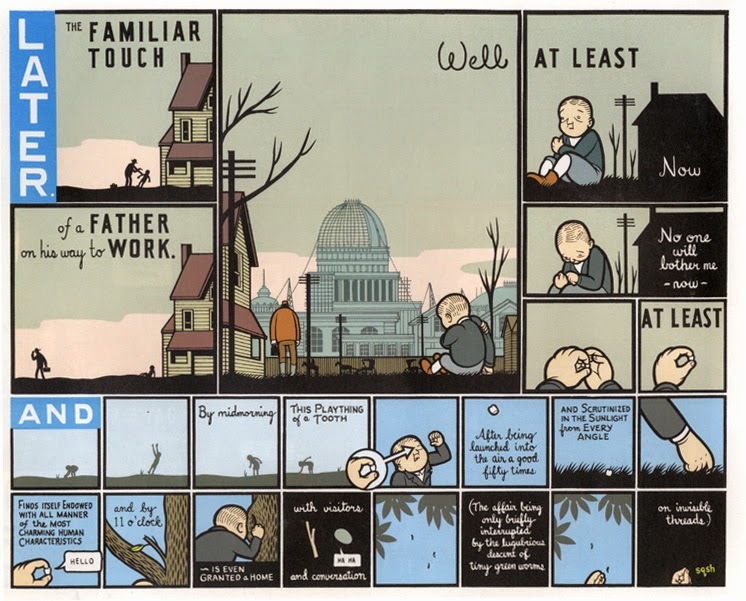 Jimmy Corrigan follows a middle aged man as he meets his father for the first time, while simultaneously exploring flashbacks to the relationship between Jimmy’s father and grandfather. It is a heartbreaking, tear inducing book. As I grew older, I was suddenly faced with the legitimate possibility of meeting my biological father. The nature of my adoption has prompted me to consider what being a father truly means, as well as the father/son relationship, off and on since I turned 16 and got my first job (and suddenly found out that my last name was different – it was quite a day). Jimmy Corrigan gave me a lot of things to think about in that regard, as well as prepared me for the disappointment that would be sure to come should I choose to go out and meet my biological father. Although I have not yet been able to bring myself to do that, Jimmy has given me a lot to think about, and has been invaluable in my approach to that entire situation. 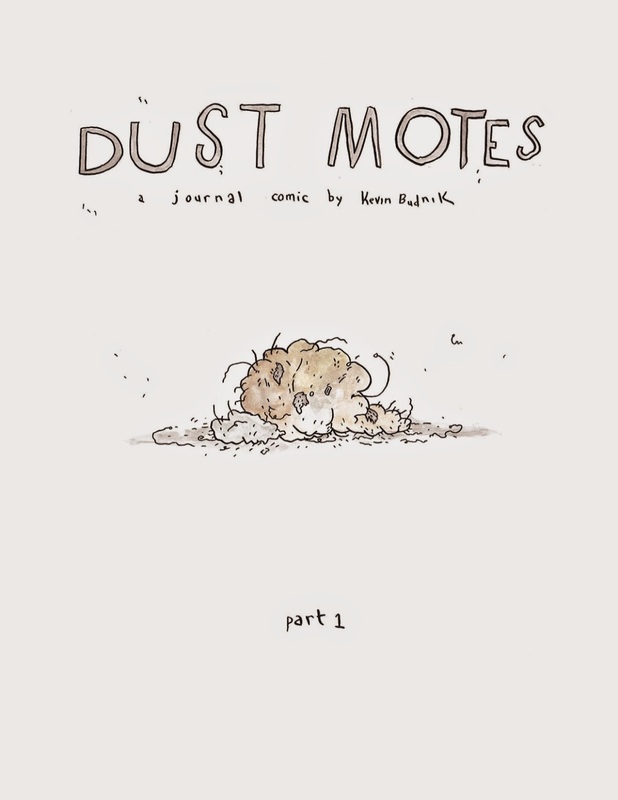 Dust Motes, Kevin Budnik – I have spoken at length about Kevin Budnik and his autobiographical comics. He frankly depicts his life and his problems in a way that is instantly accessible and relatable to most anybody. Dust Motes collects Kevin’s strips from when he was going through therapy to address his anxiety and disordered eating. It is about sickness and recovery, as well as the particular kind of fear that one has when one is trying to become better. The realness of the book means that anyone can get something out of it, even if you are not dealing with the same issues as the writer. Kevin’s work in general, and this work in particular, showed me some important things: no matter how hard something is, you can always fix it, you can always make it better, you are not alone, and, most importantly and no matter what, somebody always loves you. 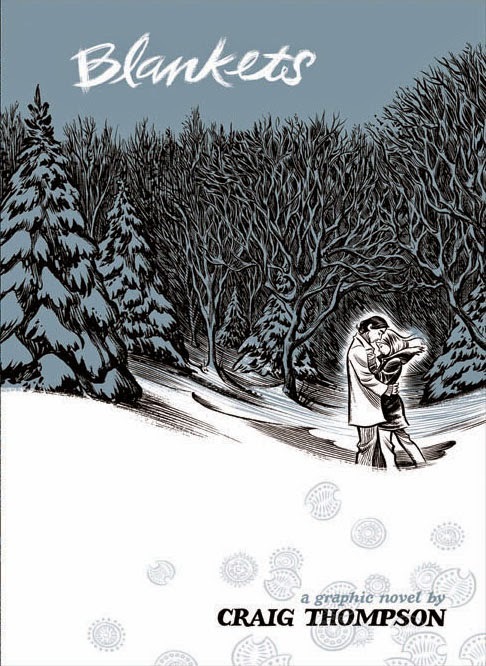 Blankets, Craig Thompson – Typically described as a beautifully told yet tragic tale of first love and the loss of one’s faith, Blankets is Craig Thompson’s autobiographical account of his long distance high school relationship. Thompson does an incredible job of conveying his emotions and exposing to his audience to feelings that feel so raw that it’s hard to believe that they happened some time ago. I personally found a kinship in the long distance nature of Craig’s relationship with Raina – I understood what it was like to be so far apart from the person you want to be with the most. I found guidance and solace in Thompson’s attempts to navigate a distant love while working through some major life changes. It seems to me that as my situation becomes more and more common, people will find a large amount of solace here. It also takes place in my home state (with a nice sequence in the Milwaukee Public Museum, which is a place I thoroughly enjoy), so that’s pretty cool. 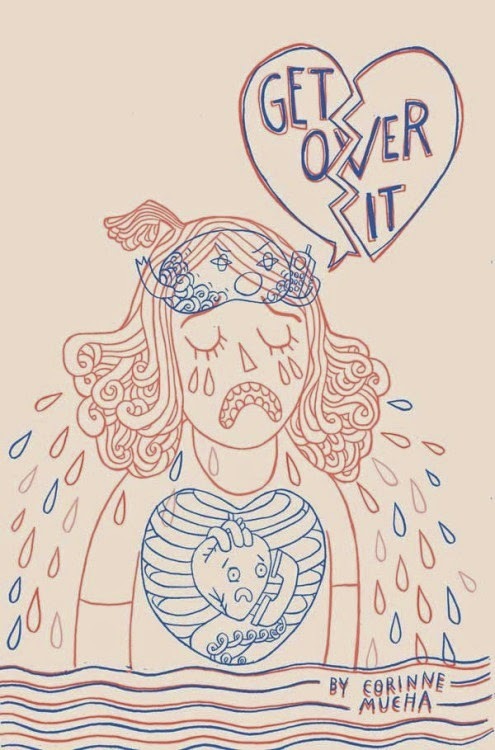 Get Over It!, Corinne Mucha – No matter how in love I may have been while I was reading Blankets it ultimately came to end, which is where Corinne Mucha’s Get Over It comes in. 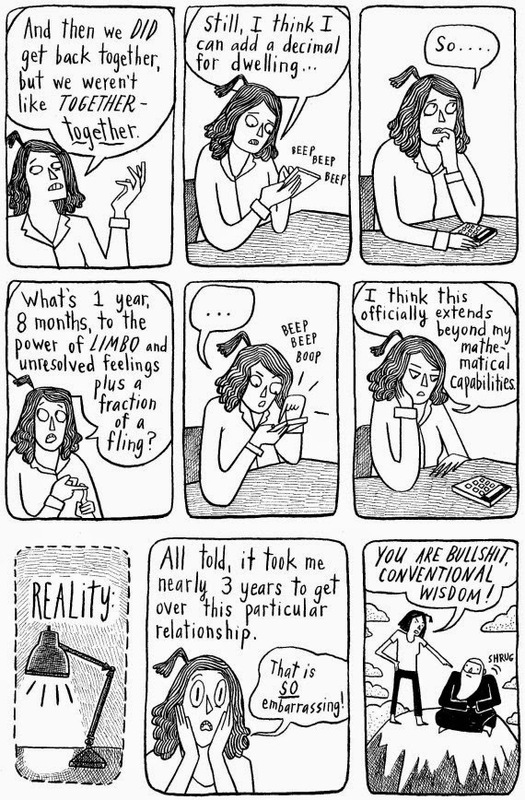 It seems that most of us have had some kind of long, serious relationship that we so thought would continue forever that we don’t notice it all falling apart while we planned our pretend marriages. 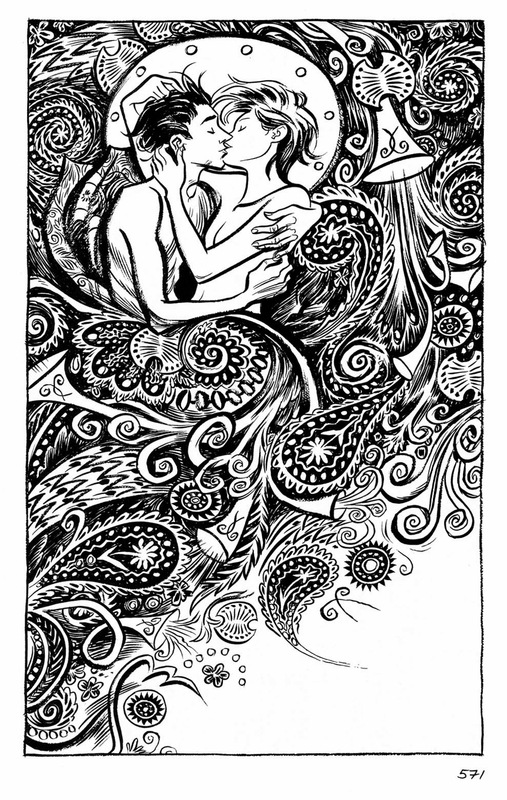 As the title suggests, Mucha’s book explores her process of getting over a serious relationship – the struggles that she faces and the feelings that she has. The book provides a word of caution, as well as a handy guideline to getting through your painful break up. Mucha does an excellent job of making sure you know your feelings are valid, while being amusing and entertaining. 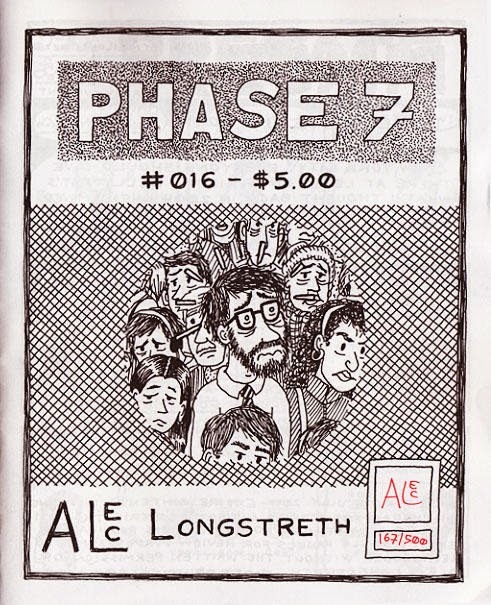 Phase 7, Alec Longstreth – Alec Longstreth is an inspiration to a great deal of people thanks to the work he is doing with Phase 7. It is a hard series to describe – which is part of the magic of it. Mostly autobiographical stories (though that is in no way everything, Basewood, Longstreth’s first graphic novel that he initially serialized in Phase 7, is easily my favorite book of 2014), is impressive for a lot of reasons. They’re extremely empathetic and easy to relate to, the art is always interesting and Longstreth’s visual storytelling is masterful. Though one of the most exciting things about the series, to me, is that Longstreth has been doing every step of every issue himself for the last 12 years. 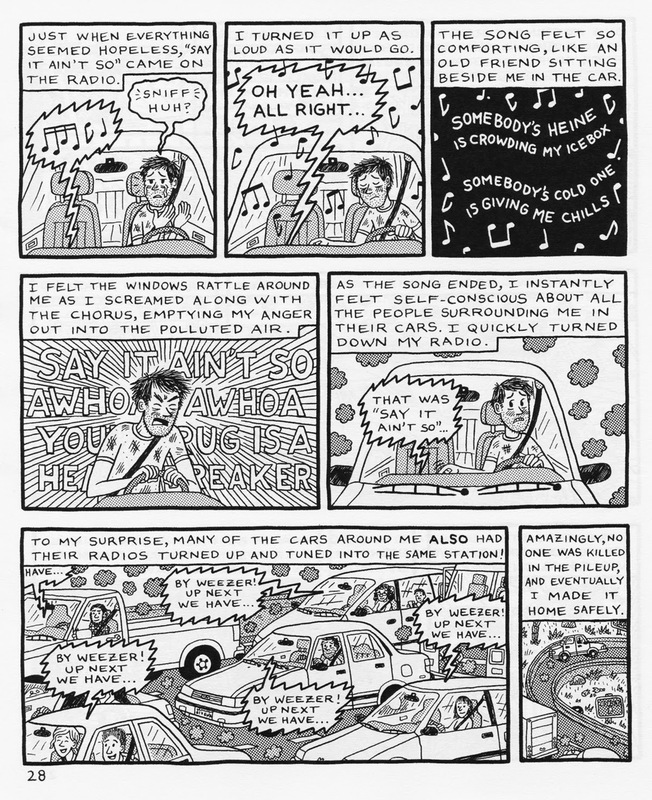 For these reasons (among many more), Alec Longstreth is one of my heroes - his work has pushed me to try new things and never let how hard something is be a deterrent, not to mention inspired me to make my own comics, opening up an entire world of catharsis and fun. 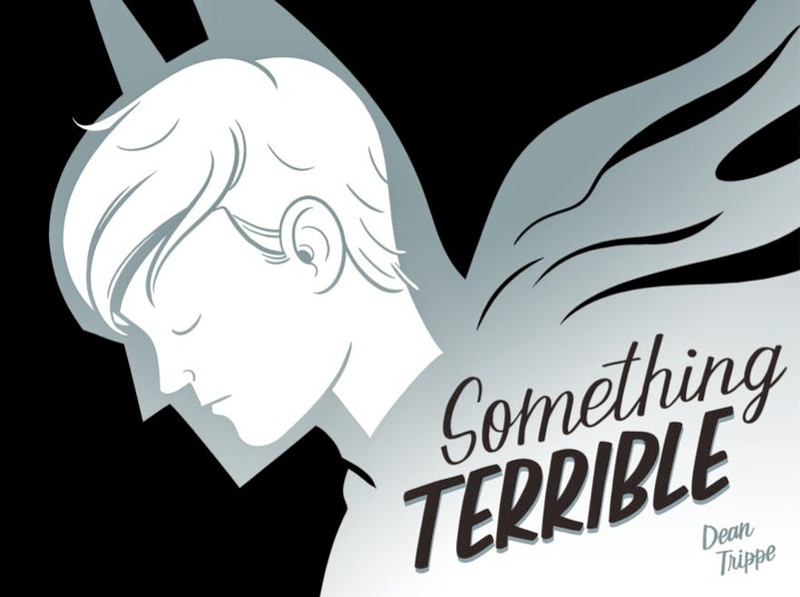 Something Terrible, Dean Trippe – When something unspeakable happens, one feels like they are completely and utterly alone. Something Terrible gives to these people a safe place, and a way to express something that they could quite possibly never talk about.